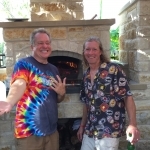 As soon as I started cooking in my wood-fired oven, I ran smack into the power of convection. Experimenting with cooking and baking all kinds of dishes and entrees, I had to adopt what Christopher Kimball calls a “better way to cook” (The Kitchen Detective, p. 231). By this I mean, learning to wield the oven’s superpowers. 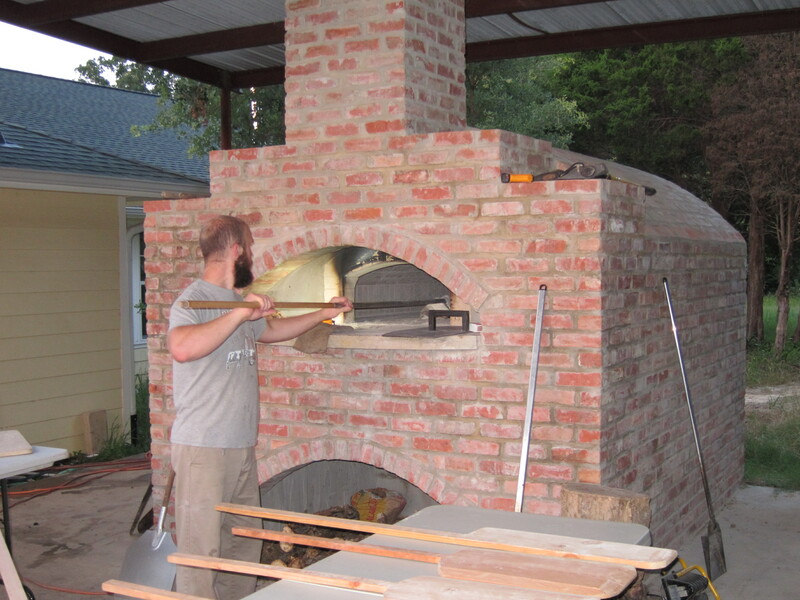 A wood-fired oven has three kinds of heating going on simultaneously: conduction, radiation, and convection. With the power of all three, you can prepare delicious food with great flavor more quickly and efficiently than with an indoor range. 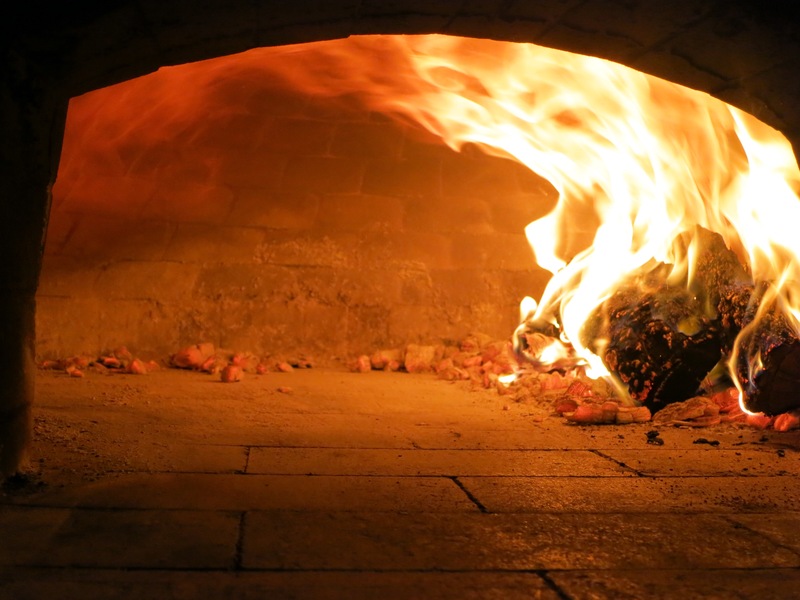 We’ll cover all three types of heating at some date, but today’s blog focuses on the amazing property of convection and how it serves you in a wood-burning oven. Convection heat is the energy carried by moving air away from a heat source. 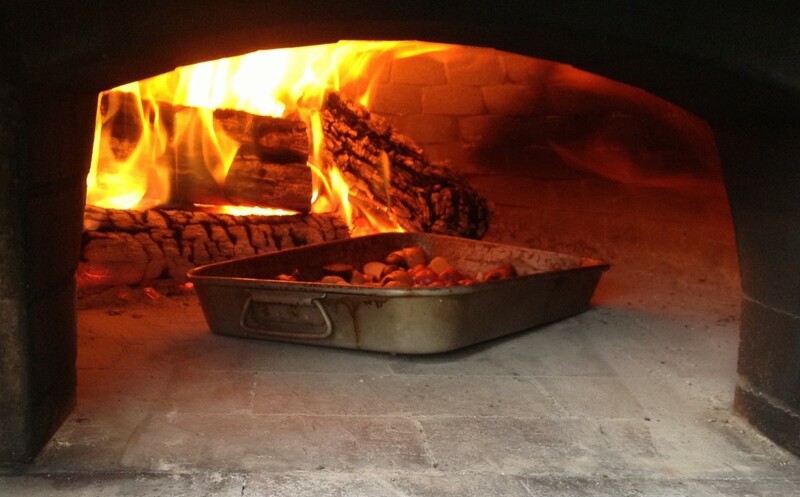 In a wood-fired oven, the fire needs oxygen for fuel, so it draws air in through the mouth (opening) of the oven. The air is heated by the fire and all of the hot surfaces inside the vault. As it heats, air rises naturally to the top of the vault. This ongoing draw of cool exterior air keeps a constant current inside the vault. 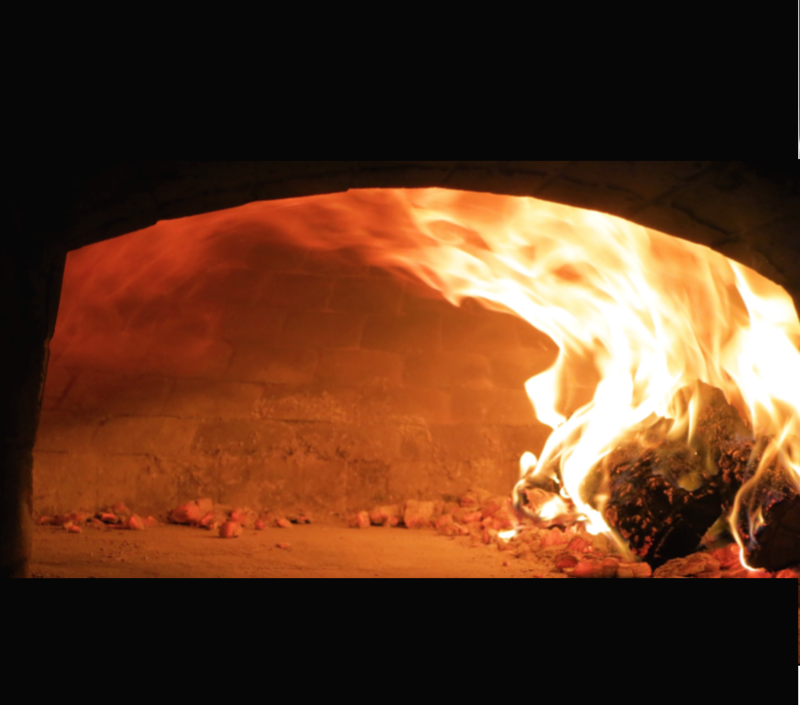 As soon as a fire catches in a wood-burning oven (see our blogs on building a fire and small fires) you can see the circular motion. The fire begins to draw cool air in at the bottom of the mouth and the hot air rises to the flue. Most people associate the benefits of convection heat with baking. 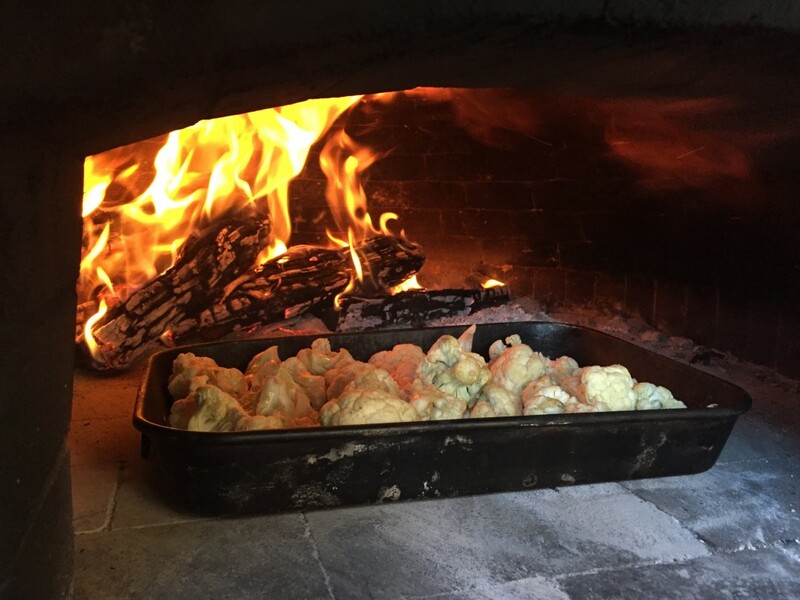 When baking bread in a wood-fired oven, you usually remove the live fire and bake with the heat accumulated in the oven floor and vault. 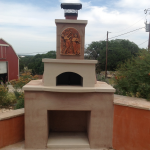 When using the oven without a live fire, a tight-fitting door seals the vault so that heat can’t escape to the flue. Convection heating still occurs, though not as fast as when a live fire is burning. 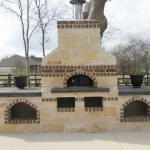 Rising hot air and falling cooler air generate a circular current inside the oven because of the vaulted shape. A roaring fire provides a spectacular illustration of convection. Hot air rises and in the rounded vault it is forced to curve back down before exiting up the flue. To me, it is memorizing to watch the spinning flames lick the vault. The round interior intensifies the convective currents, producing circular convection for maximum heating efficiency. Convection heat moves from a region of high energy to a region of low energy. When hot air passes over the food in your oven, heat is transferred into the food. 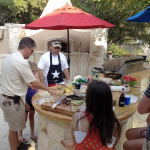 Heat displaces the cooler moisture in the food. The cooler air heats and becomes part of the convection current. Natural circulation of hot air over the food speeds up cooking. As Alton Brown explains,“The faster the convection current, the more hot matter comes in contact with the item to be heated—in our case, food.” (I’m Just Here for the Food, p. 13). Convection heating cooks food more quickly without drying or overcooking. In my early days of experimentation I found myself thinking, “Surely the turkey can’t be done yet?” But it always was thoroughly cooked, juicy and flavorful. 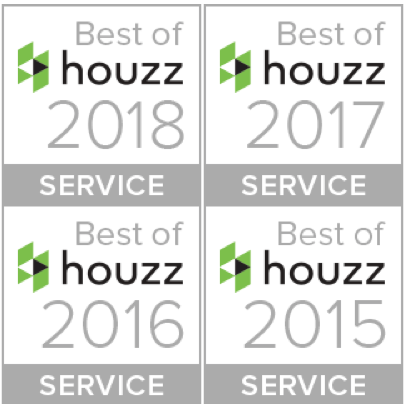 I learned to adjust my cooking and baking times to allow for the efficient cooking environment. Circulating hot air has two other advantages: when cooking without a live fire, it helps regulate oven temperature and reduces hot spots; with a live fire, strong convection enables you to cook large batches of food at one time without lowering the oven temperature. 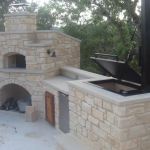 A well built oven has a good draw which allows the fire to pull in sufficient oxygen while hot air flows smoothly out the flue. 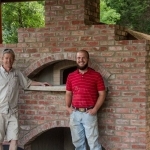 The proportions of the vault, the mouth of the oven, and the position of the flue should work together to provide maximum efficiency: plenty of convection heat without requiring extra fuel. 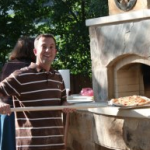 If the vault or oven mouth are too big, you burn more wood than necessary. 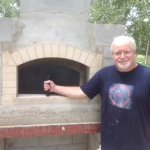 Over the past decade, Dave has tweaked the vault and mouth proportions for efficient convection cooking.